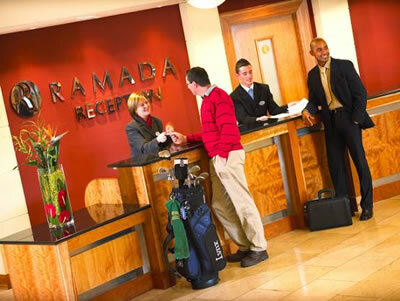 The Ramada Hotel Belfast has some of the best conference and banqueting facilities in Greater Belfast. Whether you require a banquet for 550 to a boardroom meeting for 6, or a wedding for 80 to a theatre style conference for 900, the hotel can cater for your needs. 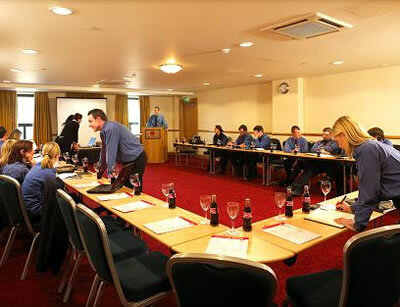 They have a dedicated conference and banqueting team with a wealth of experience to match the extensive facilities. With a business floor specifically designed with 12 meeting rooms of various sizes and a business centre providing full secretarial support you every requirement is taken care of. All rooms have air-conditioning and comprehensive audiovisual technology is available. 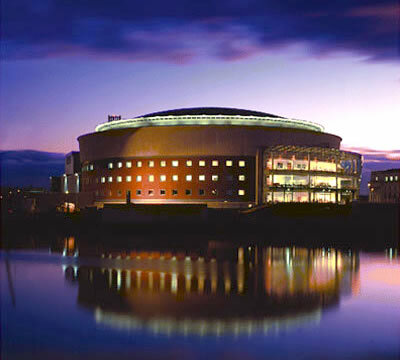 The palatial breakout areas have magnificent Lagan Valley views which will add to the enjoyment and productivity of your event. The exclusive Grand Ballroom must be seen to be believed as it accommodates up to 900 theatre style and 550 for a banquet it is, therefore, the ideal location for any major event; wedding, exhibition, private dining or gala dinner dance. The suite also divides into three smaller sections if required. 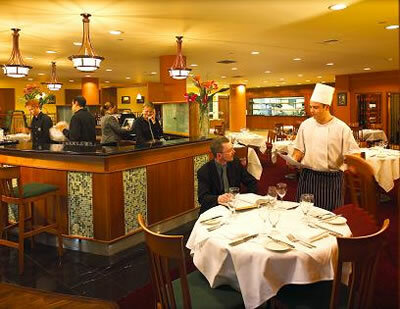 Belfast Bar & Grill offers innovative international cuisine using locally sourced ingredients. Customers are welcome to select their own wine from the unique in house wine cellar as the perfect accompaniment to their meal. All guest rooms have been designed to offer comfort and luxury with modern conveniences including work stations with leather office chairs, modem points, tea and coffee facilities, bathrobes, personal safes, iron and ironing boards, air conditioning, indeed everything needed for business and leisure guests. If you are a resident at the Ramada you can enjoy all the facilities of the LA Fitness Club including an impressive gym, a spinning studio, aerobics studio, 20-metre swimming pool, steam room, sauna, spa, and beauty facilities.